The first board exam was administered in November 2017 with 35 pharmacist volunteers. These pharmacists have demonstrated that they understand the design and implementation of MTM delivery, and are poised to integrate these solutions into their healthcare delivery organizations. It represents a milestone in the pharmacy profession and its role in healthcare delivery. 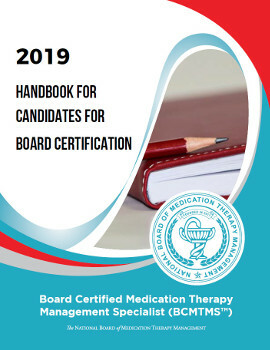 The founding board has led the development of the new certification in medication therapy management, working for more than 2 years to define and help create the board certification program with the goal of advancing the field and the role of MTM pharmacists in improving healthcare and patient outcomes. 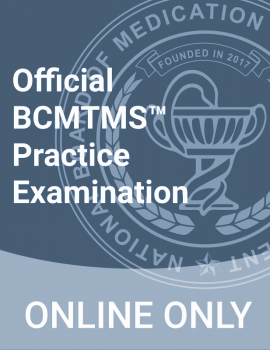 The creation of the new certification will help standardize medication therapy management training programs, increase the number of training opportunities available, and provide an immediately recognized credential for organizations hiring MTM pharmacists. Continuous efforts are necessary to reach our goal and expectation of transforming healthcare. Every day, MTM pharmacists are working in their healthcare settings to improve patient outcomes and population health. The board certification is open to all pharmacists meeting our minimum requirements, encouraging interdisciplinary cooperation in the medication therapy management field. Pharmacists can currently become eligible for the exam by demonstrating a minimum of 2 years of practical MTM experience.